Does A Website Presenter Improve Conversions? What Are The Benefits Of A Website Presenter? If you visit the websites for Virgin Holidays, IoEE, Lettingref.com, Sheraton Hotels, Surefit Carpets, or many other sites you may come across a virtual website presenter or greeter. A video spokesperson normally features a transparent background to create the impression that they are standing on your website and this means they grab attention. It can also reduce your bounce rate and improve your conversion rate. Most websites use a video of real person for their web presenter as this can have more impact than an animated figure, but animation is another option for you to consider. A website presenter can be an effective way of getting engagement when a visitor first arrives or your site to assist the onboarding process. A website presenter can also help explain up-sell or cross-sell during a key step in a customer journey. a virtual greeter to introduce and explain their service. 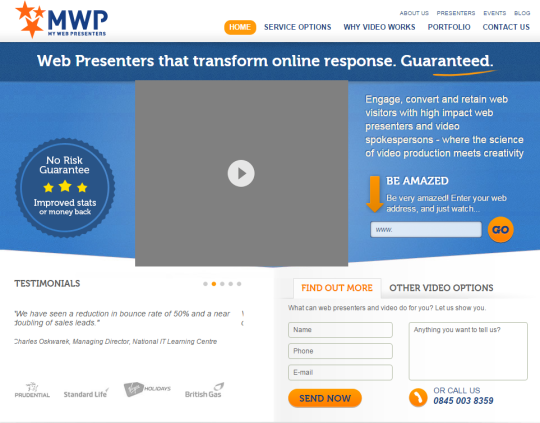 Econsultancy on the other hand employed a web presenter to explain their membership plans and increased sign ups by 15%. The Video Spokesperson Directory provides comprehensive information about website presenters from around the world. However, here are some video website greeter companies that I have come across. 1. 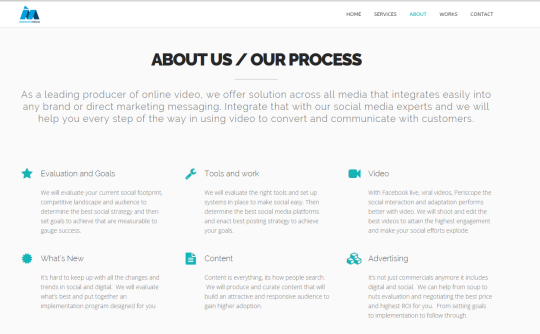 Bellmedia: Offers high quality video website presenter and video web banners. Cost includes 12-month free video hosting. 2. 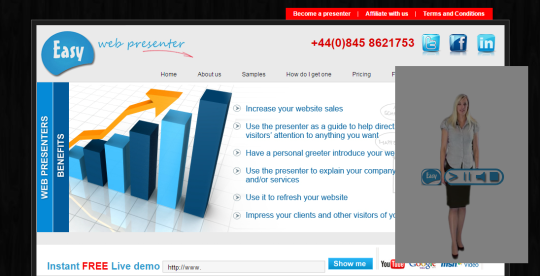 Easywebpresenter: Provides a fresh tailored video website presenter and greeter to add a dynamic edge to your website. Costs start from £79.99 and £24.99 for monthly rental. 3. innovatemedia: Employs actors and actresses to deliver a real human website presenter for your website to improve engagement and increase conversion. Choose from their talent database or from 2 to 3 actors and actresses at each shoot day. 4. 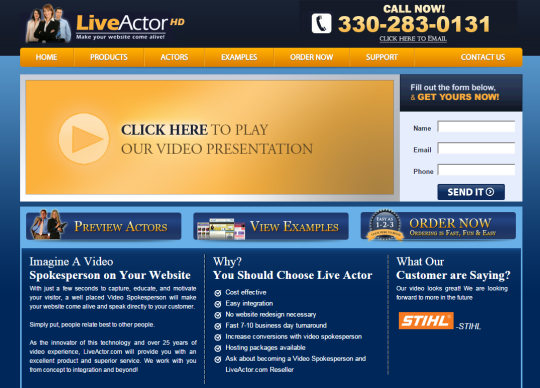 LiveActor: With over 25 years video experience LiveActor can deliver a video spokesperson for your website within 7 to 10 business days and they allow you to choose the actor online. Also offers video website banners and professional voiceover services. 5. Model2web: Allows you to view and select from models on their website to create a virtual spokesperson for your website to improve engagement and sales. Prices start from $79 with no monthly fee, cost is a one off payment, with no hosting fee. 6. MyWebPresenter: Guaranteed return or money back. Creates a professional web presenter and video spokesperson videos to engage visitors and improve conversion. Provides for continuous A/B testing as standard to optimise the video content and delivery. 7. Studios1: Delivers video web presenter to engage visitors as they land on your site. Offers over 150 actors and actresses to choose from. 8. 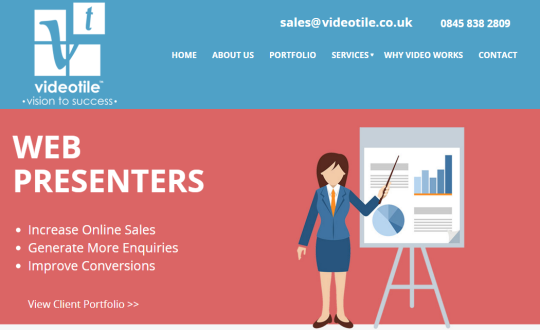 Videotile: Provides a full range of video services including website presenters, video mailers, explainer videos, video landing pages and background graphics and animation. 9. 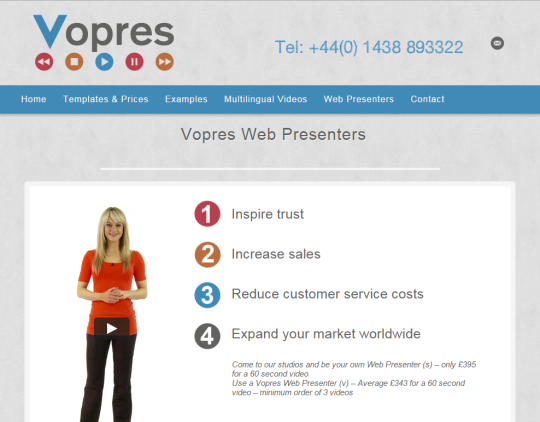 Vopres: Real-human video presenters to inspire trust, increase sales and reduce customer service costs. Prices start from £395 for a 60 second video (minimum order of 3 videos). 1. 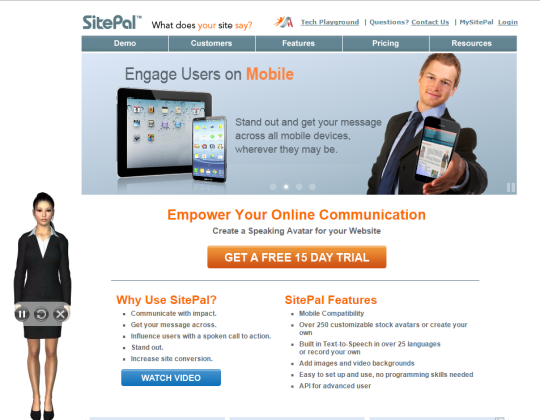 SitePal: Displays an animated speaking avatar to greet visitors to your site to improve engagement and reduce bounce rates. 15 day Free trial available. Over 250 stock avatars which can be customized, including using your own uploaded images and have an API for advanced functionality. 2. CodeBaby: Offers a range of customized animated avatar solutions for both self-service and e-learning needs. Self-service includes conversion optimization which uses emotionally intelligent response segments to direct the customer experience towards your business goal. Other solutions include benefits, health and service adviser.